It was the moment everyone had been hoping for. Gliding beside Koh Bon’s wall was a four-metre wide manta ray, which seemingly appeared from nowhere and was unfazed by the gaggle of divers scattered in pairs around it. The manta cruised parallel to the wall, every diver mesmerised by its size and grace. Then it broke from its path, shot up vertically to show off a snow-white underside, and twisted back out into the blue. Although it was only a fleeting encounter, everyone felt blessed twice over: the sighting was a magical moment for those who saw it; and the manta in some small way symbolised how well the Similan Islands are thriving in the wake of the tsunami. Back on board the boat, the divers grinned delightedly. “I’m saying nothing,” the owner of the MV Dolphin Queen said ironically, flapping his arms to the mock indignation of Melissa, the one dive guide whose group missed out on the main event. It was the first time mantas had been seen all season. And beyond a magical encounter, it lifted the mood immensely. The sense of celebration was in marked contrast to the excited, but slightly apprehensive atmosphere on board the MV Dolphin Queen when it departed Khao Lak two days earlier. Many of those on board the four-day trip had dived the Similans before the tsunami, and were concerned about the widely differing damage reports. Hoping for the best but preparing for the worst, from the very first dive everyone was taken aback by the excellent health of the reefs. As Thailand’s premier dive destination and a protected marine park, the uninhabited Similans – and the additional sites of Koh Bon, Koh Tachai and Richelieu Rock – had, we discovered, escaped relatively unscathed. The very first dive was at East of Eden, a rightly revered Similans site thanks to the huge bommie that is its centrepiece. A sandy slope drops from five metres down to 35m, allowing divers to devote their full attention to the stunning diversity of the corals and creatures living amongst them. 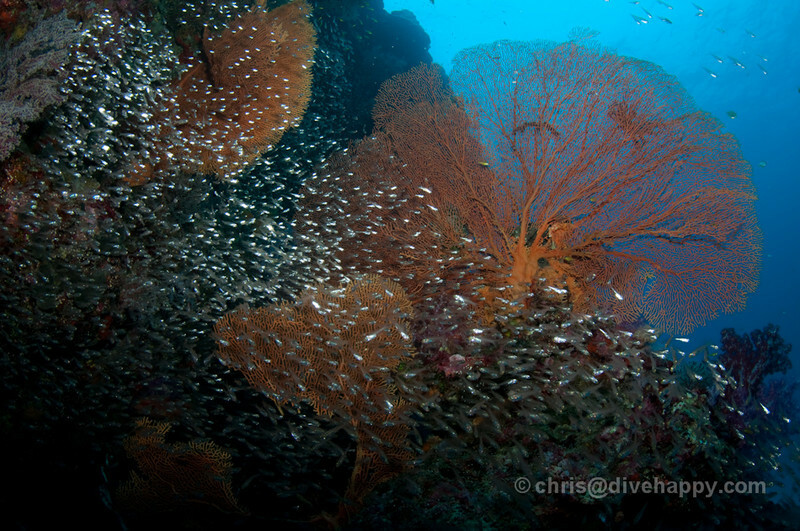 Visibility in the Similans is typically 20m, at least, making the bommie the stuff of photographers’ dreams. To our surprise, East of Eden remained wholly unaffected by the tsunami – towering out of the slope it’s a riot of colours between hard and soft corals, with scores of different fish species hovering around it. 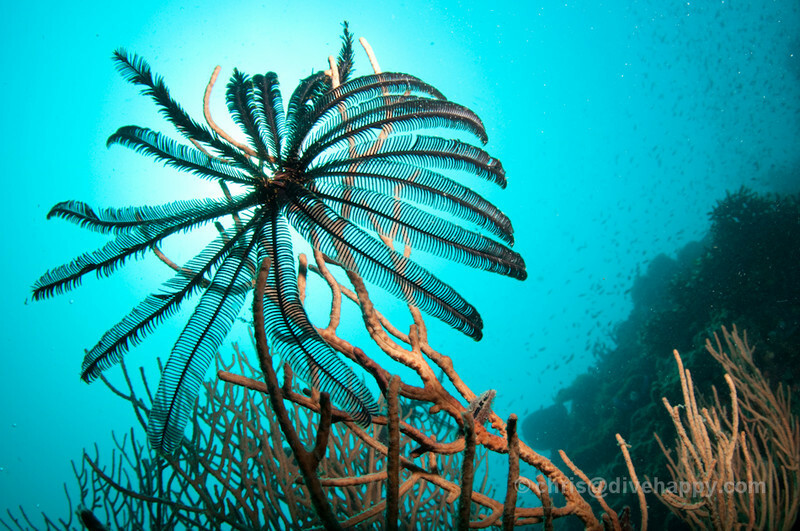 Indeed, without wanting to sound blasé, East of Eden is a microcosm of every Similans site – an abundance of aquatic life that will have divers reaching for the fish identification books after every dive. Above water, the islands have been noticeably affected by erosion, but the pristine beaches remain intact – perfect for a surface interval visit. With the heat of the day tempered by sea breezes under brilliant blue skies, plus spectacular Thai sunrises and sunsets, life aboard this Similans’ live-aboard was like living in a dream. The Similans’ sites divide roughly into two categories – sandy slopes like East Of Eden and Breakfast Bend, with spectacular swathes of coral; and more challenging, big boulder sites like North Point and Elephant Head Rock. The boulders provide cover from strong currents (which do occur) while offering up some scenic swimthroughs. On this trip North Point was one of my most memorable dives. I spotted a grey reef shark at 30m, and watched as a turtle headed for the surface during the safety stop. One site that didn’t escape the tsunami is Deep Six, located off Similan Island Seven. According to the crew, the site’s been comprehensively destroyed – the boulders tossed around and smashed open. Similarly, we avoided Snapper Alley and the Boon Sung wreck, which is closer to Khao Lak’s shore. Previously a haven for a large variety of fish, and a great last dive location for returning live-aboards, the wreck has been ripped wide open by the tsunami. A scattering of exposed girders sticking up from the sand over a much wider area is the only remnant of the former dredger. Given that the visibility has deteriorated close to the shoreline, it makes for a hazardous dive. 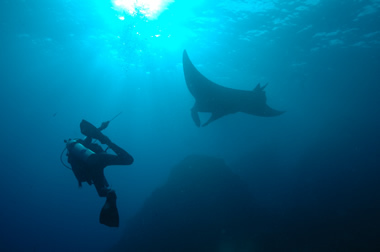 Beyond the Similans, Koh Bon’s exhilarating wall dive escaped the tsunami and remains the best site to see manta rays. Koh Tachai has been affected by the tsunami, albeit minimally – the coral on the plateau itself is battered and bruised, but not to the point where it’s undiveable. Koh Tachai is also a spotting point for mantas, so few were going to argue with paying it a visit. We didn’t see any on our lone dive there, but the site offered up a group of leopard sharks on the sand at 25m. Richelieu Rock marks the climax of most Similans’ live-aboards because it’s the furthest geographical point. The tip of this horseshoe-shaped rock sticks out of the sea at low tide – its mid-ocean location makes it susceptible to strong currents, but also a haven for underwater life. Outside the horseshoe, divers can disappear to 30m quite easily in search of the sharks, and even seahorses that are known to live at the end of one of the horseshoe’s edges. Enter the rock and there’s a plethora of stonefish and lionfish seeking shelter, along with innumerable shoals of other species. Richelieu, then and now, is a breathtaking site: there was no evidence the tsunami has caused it any harm. Indeed, Richelieu was the best I’d seen on three separate visits. As the boat steamed back to port, we encountered a remarkable piece of luck. On the last day the captain began yelling incomprehensively. In between excited breaths he explained he’d seen a manta ray near the surface. None of the divers gathered on the deck needed any prompting – everyone dropped straight into the ocean with mask and snorkels a few seconds after the boat came to a standstill. And for a few glorious minutes, we were privileged to see a single manta as it swooped below us, spiralling downwards to the depths in a pirouette that made it seem as if it was showing off. It would be hard to ask for more as a finale to the miraculous expedition. Back on shore, we dispersed to our separate hotels. Khao Lak was badly damaged by the tsunami, but the town is no longer the disaster area portrayed by the media. There are still over a thousand hotel rooms available in Khao Lak, and the businesses along the town’s main road have nearly all reopened. There’s been no shortage of news coverage about the terrible events of the tsunami, but there has been a definite lack of reporting on how those communities affected are getting their lives back together. As Clive White, an English dive instructor based in Khao Lak who witnessed the tsunami and its aftermath succinctly puts it: “The real tragedy for the Thais is starting now. 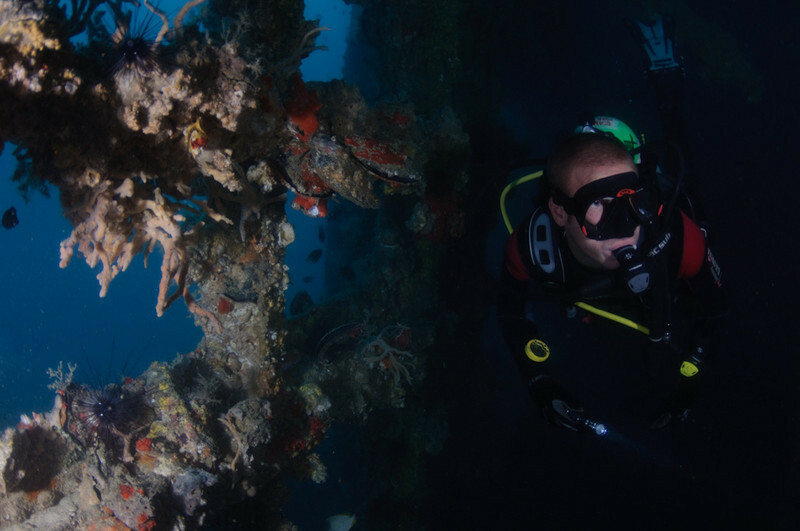 If no tourists come, they can’t rebuild their businesses and get on with their lives.” Simply by choosing to spend a holiday diving the Similans, divers can help those coming to terms with the disaster. The Similan Islands have been irrevocably changed by the tsunami, and some might argue irrevocably damaged in places. But are the Similans still worth diving? The answer can only be an emphatic “Yes!” The abundance of marine life remains staggering; the damaged corals are certainly noticeable at times but not heartbreaking; and the Similans provide a spectacular live-aboard experience at prices that are hard to match anywhere else in the world. For me, as for the other happy divers who disembarked that glorious February afternoon, the Similans remain one of the most memorable places to dive in Southeast Asia. Just back from two back to back 4 day liveaboards in the Similan Islands. These were my fourth and fifth liveaboard trips in the Similans, and I’m happy to report that the diving there is as spectacular as ever. I’ve dived quite a few other places in Asia and elsewhere, but I have to say that the Similans offer the best consistent dive experience I’ve had. I think it’s the combination of a four day liveaboard with a variety of great sites with good visibility – reefs, big boulders, and ocean pinnacles – a plethora of amazing underwater creatures, from seahorses to manta rays, and, of course, reasonable prices. A liveaboard with my friends at Phuket-Diving-Safaris.com will cost 17800 Thai Baht, which is less than $500 US – it’s difficult to think of anywhere else you could enjoy such great diving for such a low price without cutting corners. 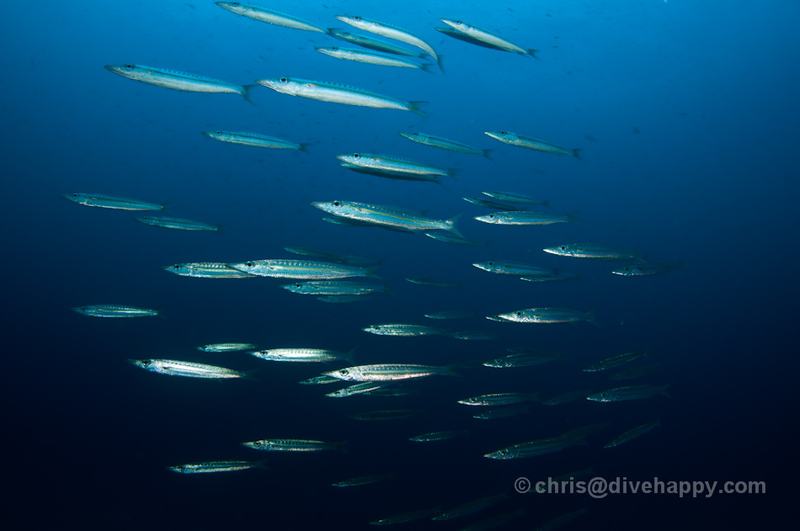 One of the reasons why diving the Similans is such a great experience is because there’s a natural sense of build up over the four days of the liveaboard . You start off in the Similan Islands proper, doing some easy reef dives that offer spectacular bommies like East Of Eden, which is so covered in fan and soft corals and alive with different fish species that it’s been regularly filmed and photographed by the likes of National Geographic. By the second day, you get to dive the more challenging big boulder sites like Elephant Head Rock and North Point, where truly huge rocks several storeys high have rolled together to create a labyrinth of swimthoughs and shelter for the fish. There’s something exhilarating about being at 20 metres passing over the top of one of these rocks – and then watch it drop away another 30 metres below you as you fly off the side. Turtles chewing on coral hide around them, and within the canyons formed by the rocks you can find clown triggerfish, probably my favourite fish of all. By the afternoon of the second day the liveaboard heads north from the Similan Islands and arrived at Koh Bon, “The Island Of Hope”, and where most divers hope they’ll get to see Koh Bon’s resident manta rays. It’s not guaranteed but if you get lucky, you’ll be finning along Koh Bon’s sheer wall and suddenly see a manta coming towards you out of the blue. As you can imagine, for many divers on the boat, the expectation of seeing mantas is the highlight of the trip, and if it actually happens, the sense of collective euphoria after the dive is palpable. On the third day the boat reaches Richelieu Rock, possibly the finest dive site in all of Thailand, an ocean pinnacle ina horseshoe shape that has a plethora of creatures living around it. When my dive buddy Clive and I dropped in first thing at the morning – just before 7 am and before any other divers – we were lucky enough to see a manta ray circling the rock’s apex. We simply hovered there at 10 metres, watching the manta swing round us and pass over our heads, unbothered by our presence. It’s hard to articulate just how mesmerising these creatures are to watch – they move with an unearthly grace that is incredibly difficult to tear your eyes away from. There’s two more dives on the way home on the fourth day, the final dive being at Koh Bon again if you’re lucky – given you are in the open ocean, it’s up to the boat captain which sites you go to as he has to ensure it’s safe. During my two trips, we enjoyed the Similans’ usual excellent visibility – a minimum of 15 metres viz on each dive, usually more. The journey out for the second liveaboard was uncharacteristically rough due to a cyclone crossing over Thailand and Burma – usually conditions are pretty calm, although if take seasickness tablets if you’re susceptible. Far from satiating my desire to dive the Similans, doing these two liveaboards made me want to definitely go back again next year. After the relief of discovering that most of the sites were undamaged by the tsunami – see my original article about diving the Similan Islands six weeks after the tsunami – it’s great to return to the Similans and find that everything is the same, only better. 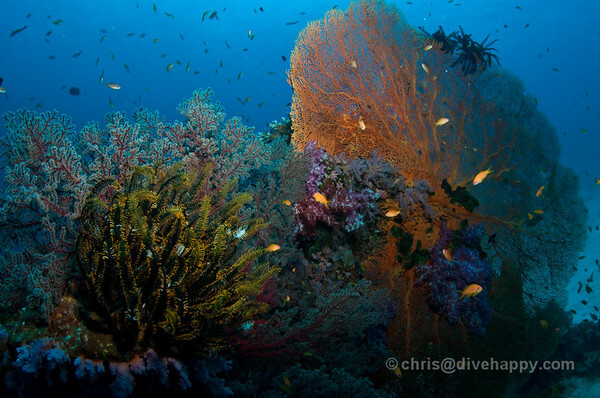 These sites are so rich in their marine diversity and topography that they repay repeated diving. The dive season for the Similans is drawing to a close at the moment due to the monsoon season, which makes the seas too rough for safe diving. The dive season begins again in mid-October 2006 and runs through to May 2007. So you’ve got plenty of time to plan out a visit to the Similans, which to my mind still live up to their reputation as one of the best dive destinations in the world.